Women's style in the 1940's is directly related to World War 2. While the hairstyles look glamorous and intricate to the modern eye, they were considered practical and part of the war effort. 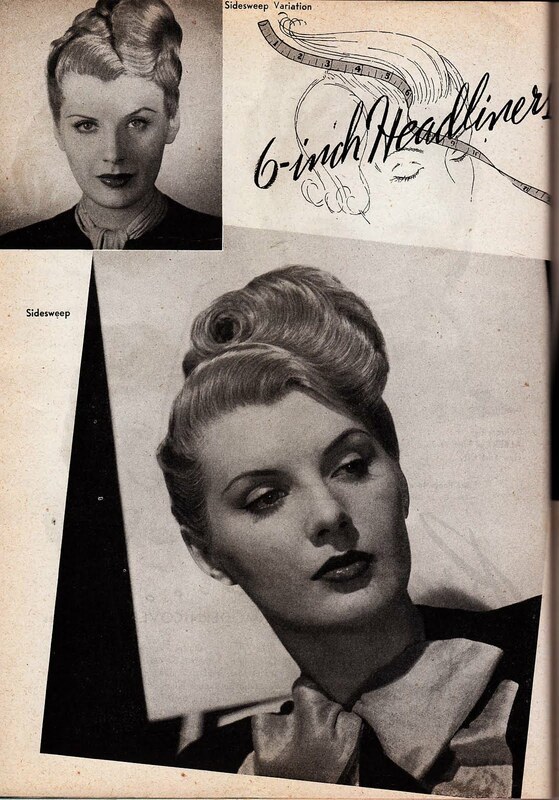 Many women worked in factories or as part of the armed forces and had to look attractive while not having high maintenance hair that risked getting caught in machinery or fell in their face at work. A woman's hair represented her creativity and offered an opportunity to differentiate herself amongst other women. 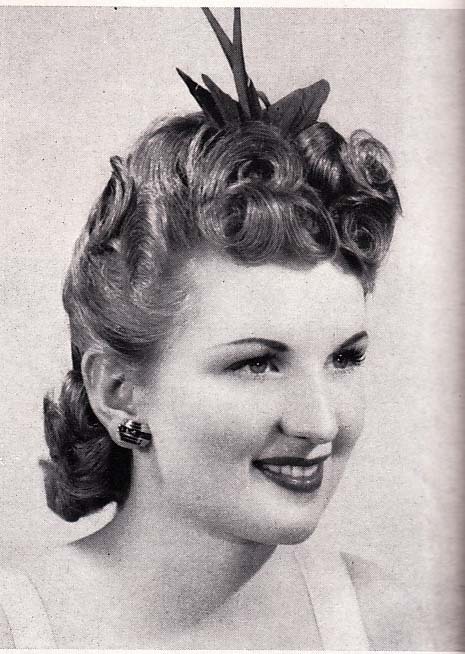 Hats and Accessories are signatures of 1940's style, adding extra visual interest. 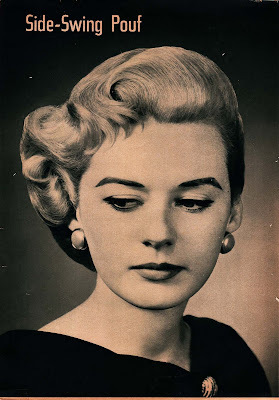 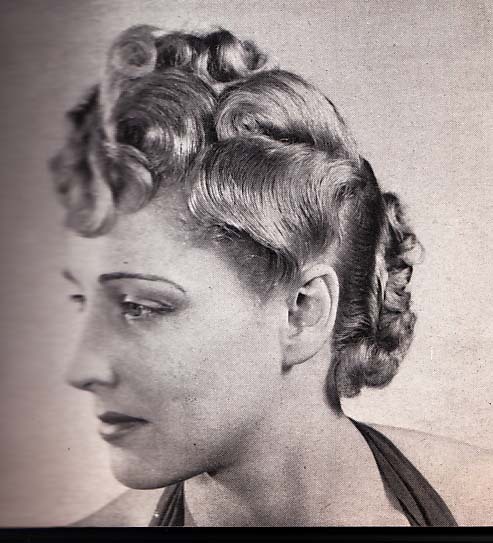 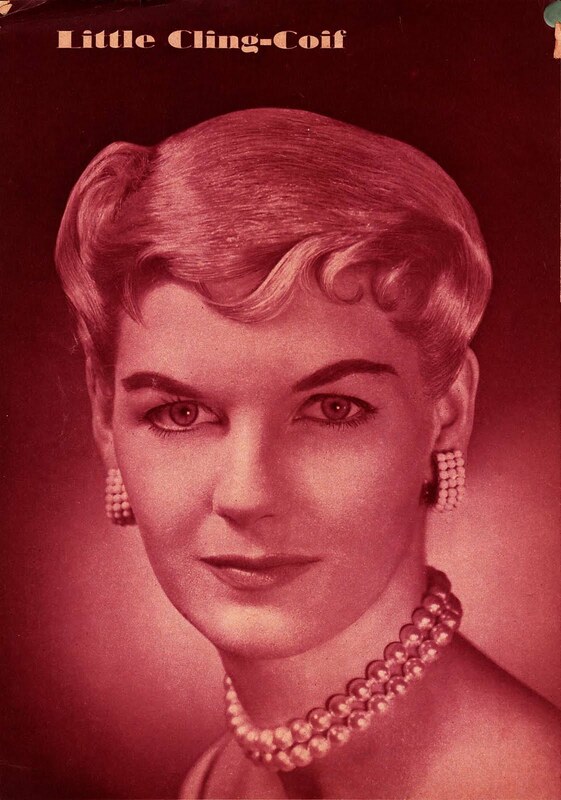 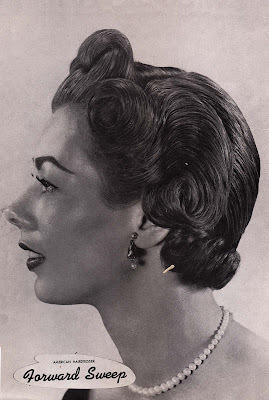 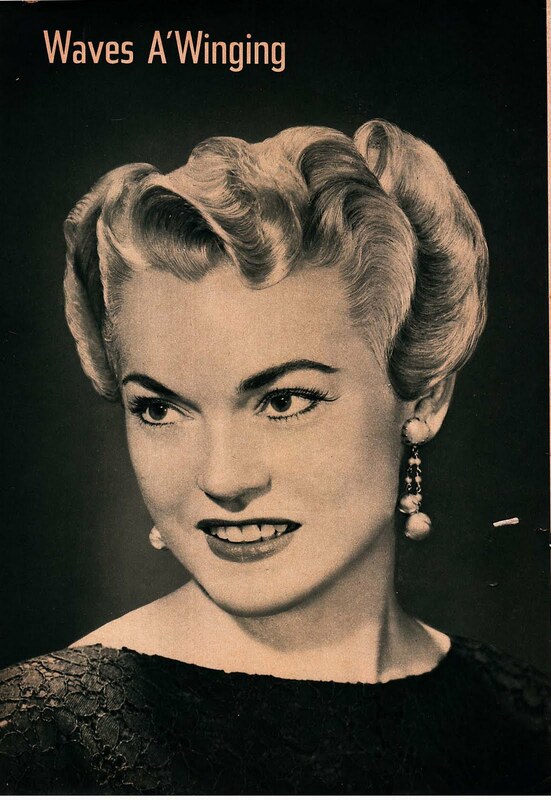 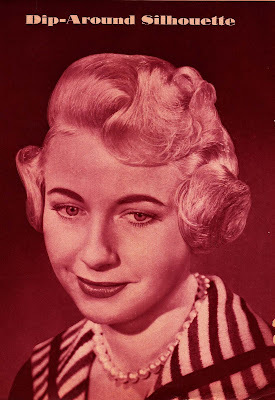 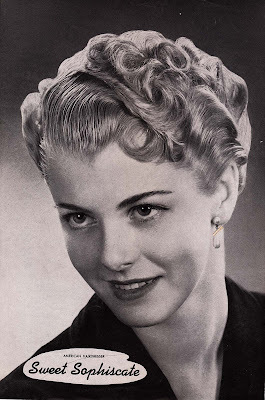 shows a diagram of pin curls on a woman's head. 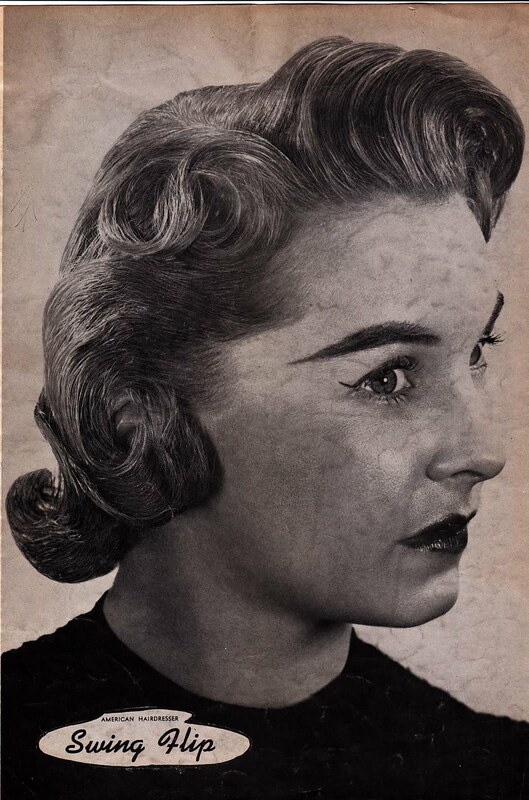 The direction of the curl affects the outcome of the wave. 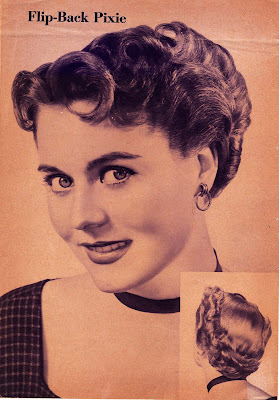 Pictured to the left is the end result after brushing out the curls into waves and teasing for volume. 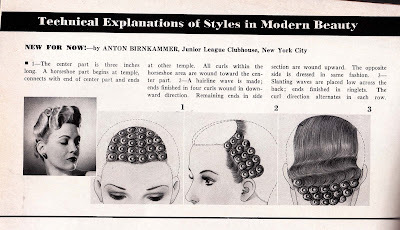 Most women's hair was cut short so it was easier to manage. 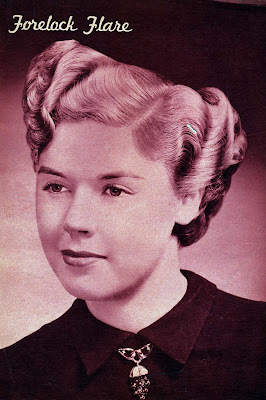 Women needed a versatile hairdo that could be styled with either pin curls or a perm and did not require many visits to the beauty salon. 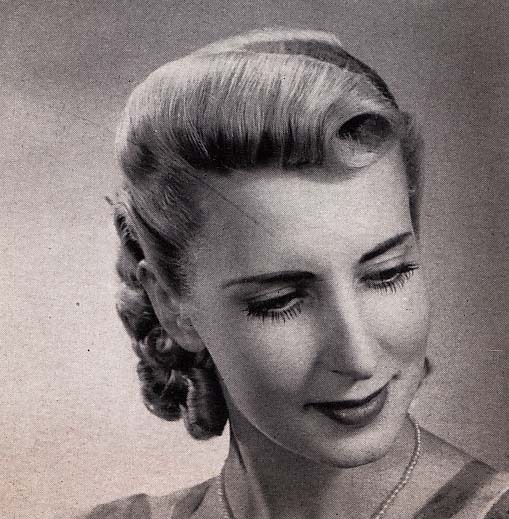 Most women shampooed their hair about every other week, due to shampoo rationing. Even despite the lack of soaps, it was not usual for women to wash their hair daily as many women do today. 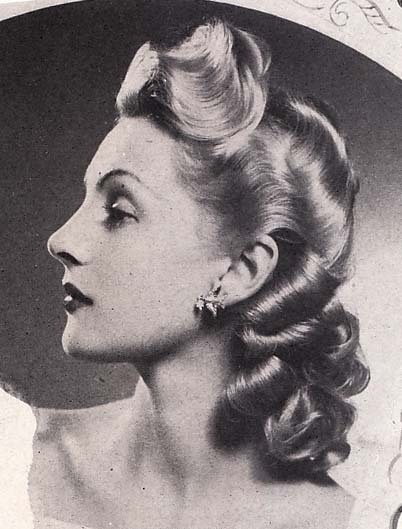 Hairstyles were also designed to balance a woman's face. For example if her "nose was too long" or "jaw too square" styles added volume in the right places to balance the face. The following images below are taken from a 1940's beauty magazine. 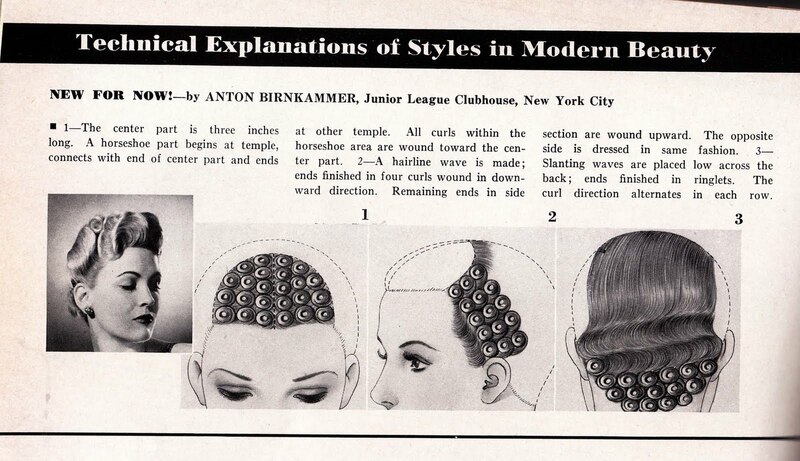 I love how each style has a name. I love the asymmetrical looks...I think they are very architectural and modern despite being vintage. 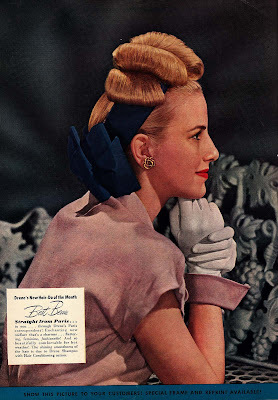 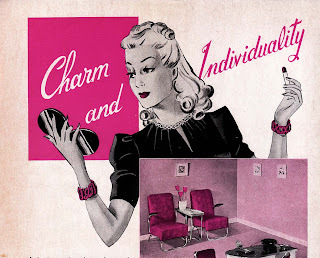 While the woman of 2011 lives a very different life than the women of the 40's, we can emulate their intricate styles using modern technology, reintroducing a sophisticated elegance that is unique to every woman. 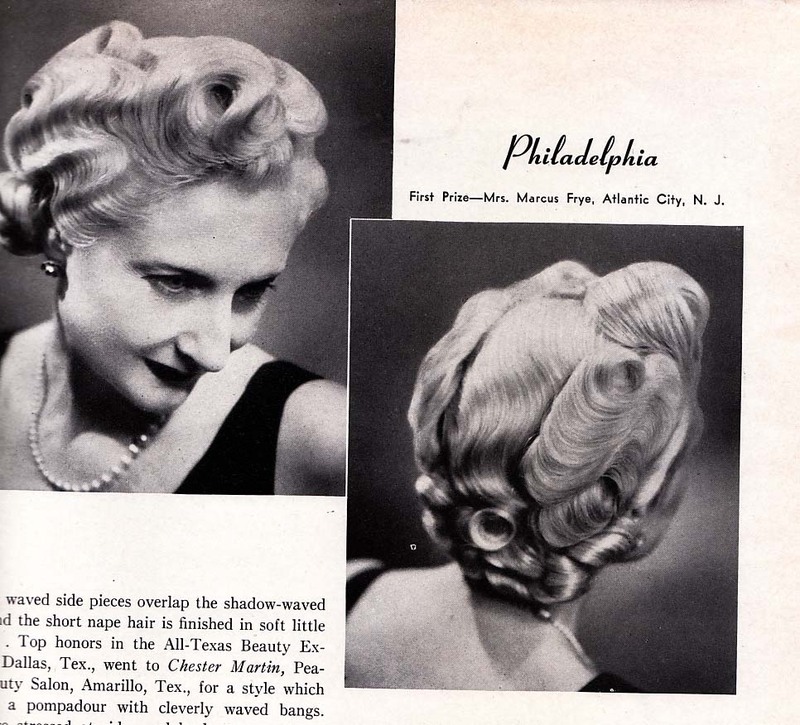 Each hairstyle becomes a work of art, the hair as its medium.